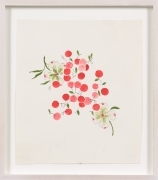 Untitled, from the Florals series, n.d.
Untitled, from the Florals series , n.d.
Thunder & Lightening, from the Abstracts series, n.d.
Untitled, from the Fruits series, n.d.
Untitled, from the Animals series, n.d.
Untitled, from the Vegetables series, n.d.
Untitled, from the Animals series , n.d.
Untitled, from the Fruits series, n. d.
Untitled, from the Food series, n.d.
Untitled, from the Abstracts series, n.d.
Glass Bottom Boat, from the Abstracts series, n.d. 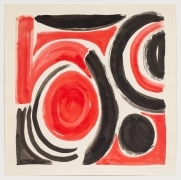 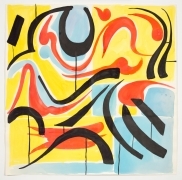 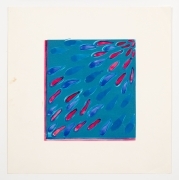 Shooting Star, from the Abstracts series, n.d. 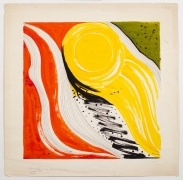 Occasional Stripe, from the Abstracts series, n.d.
Sun Spots, from the Abstracts series, n.d.
Sundown, from the Abstracts series, n.d.
Untitled, from the Leaves series, n.d. 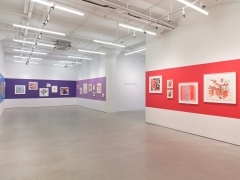 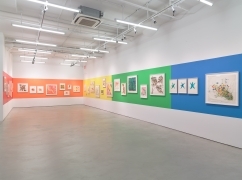 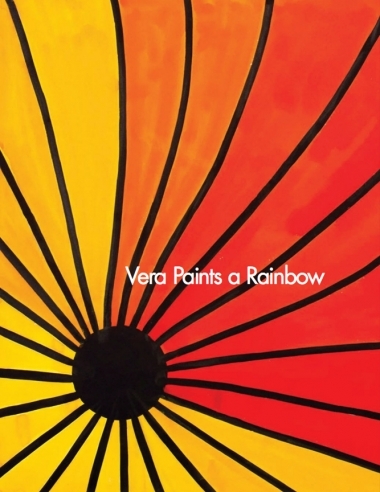 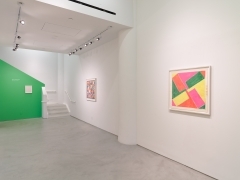 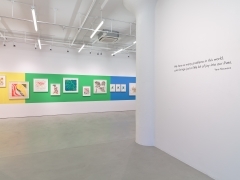 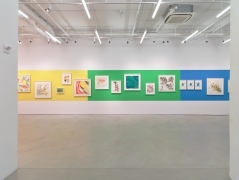 The exhibition’s title, Vera Paints a Rainbow, alluded to the Vera Company’s promotional materials and showrooms, whose ads from the 1970s featured the tagline “Vera paints,” as an ongoing campaign. 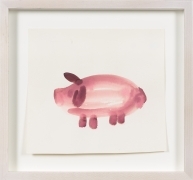 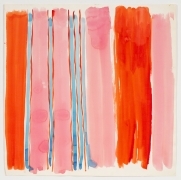 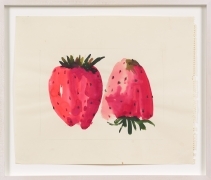 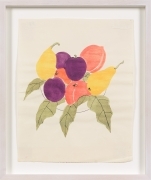 Every season featured a new theme, from “Vera paints a bunch,” a cluster of carrots, to “Vera paints suns,” a recurrent motif in all her collection. 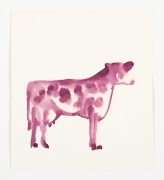 As the artist expressed: “I’m a Leo. 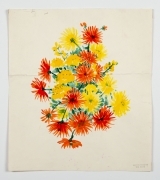 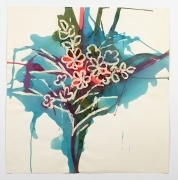 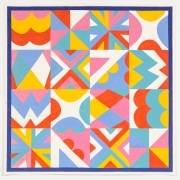 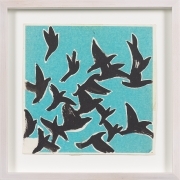 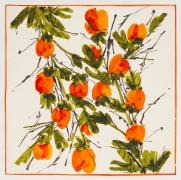 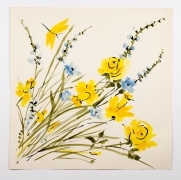 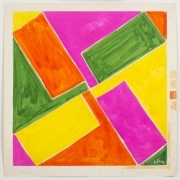 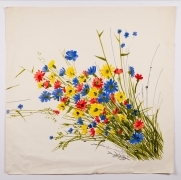 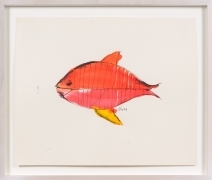 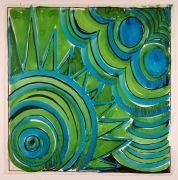 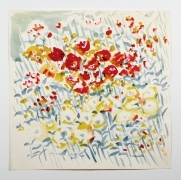 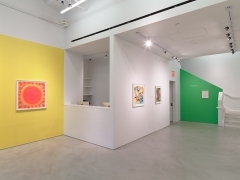 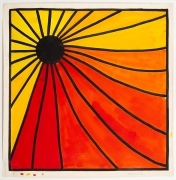 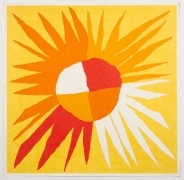 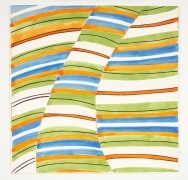 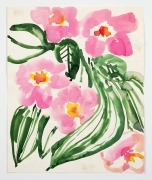 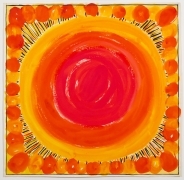 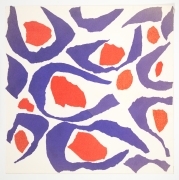 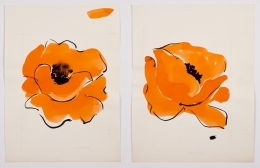 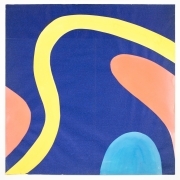 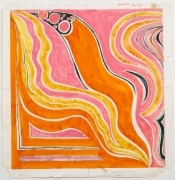 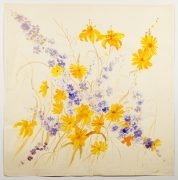 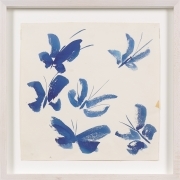 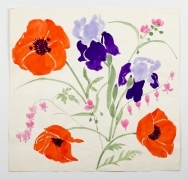 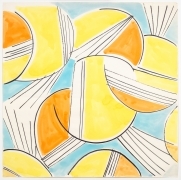 I’m a sun person.” Neumann’s vivid watercolor paintings and collages were used on an array of fabrics to create wallpaper, home linens, apparel, and most famously, her silk scarves. 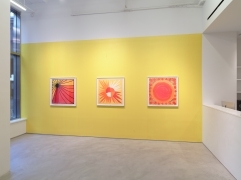 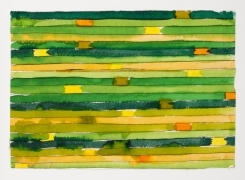 Vera Paints a Rainbow brings together a selection of her artworks representing the solar spectrum, which became key visual references of mid-century design.